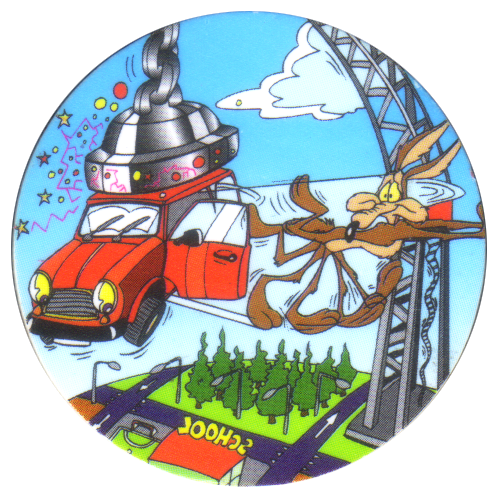 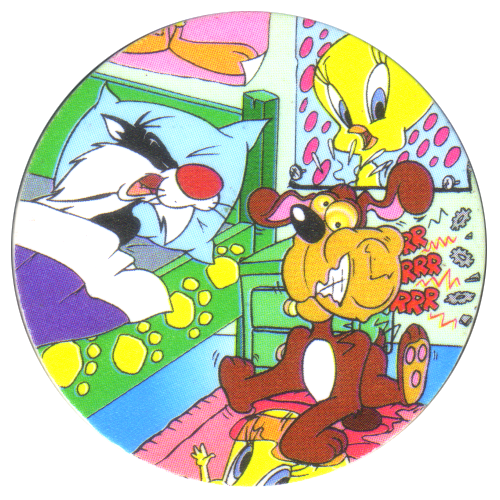 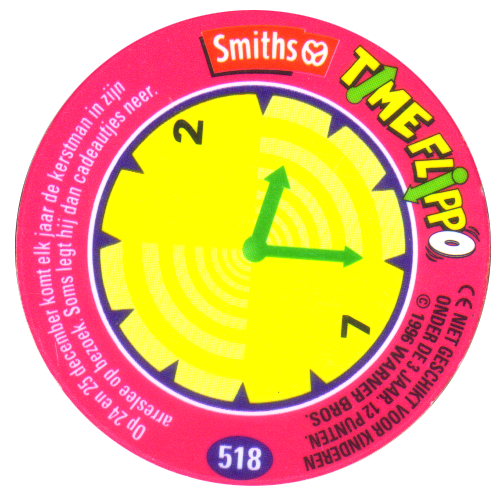 Info:These Flippos feature various Looney Tunes characters, apart from numbers 522 - 530, which feature Chester Cheetah instead. 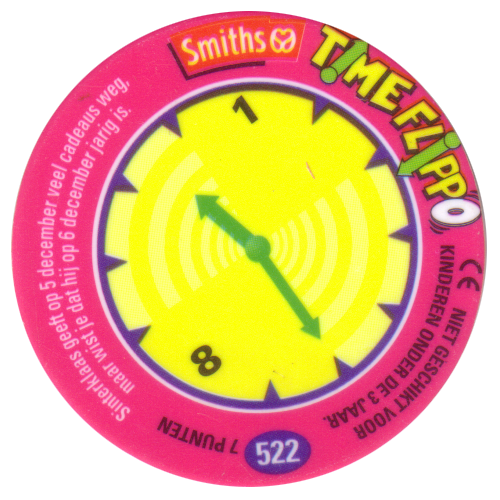 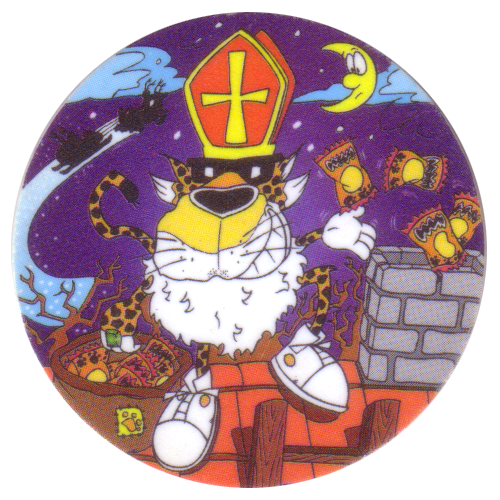 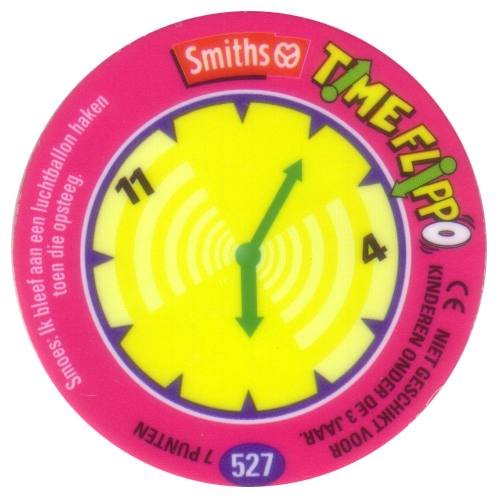 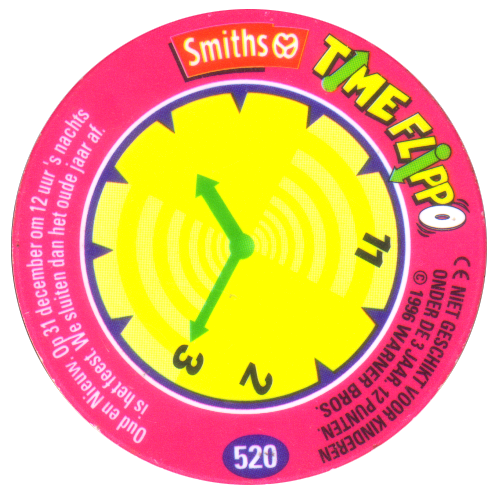 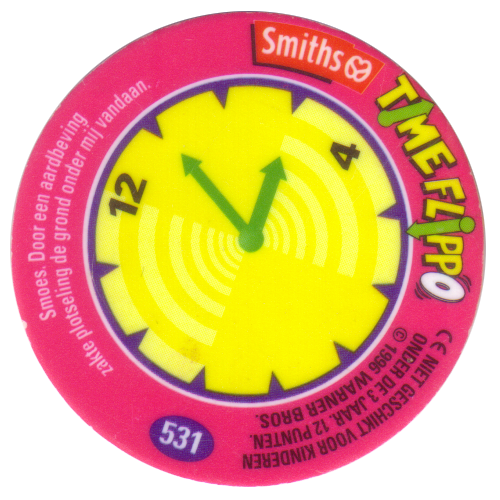 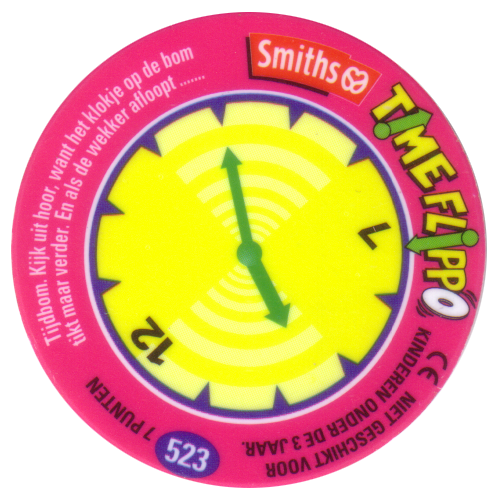 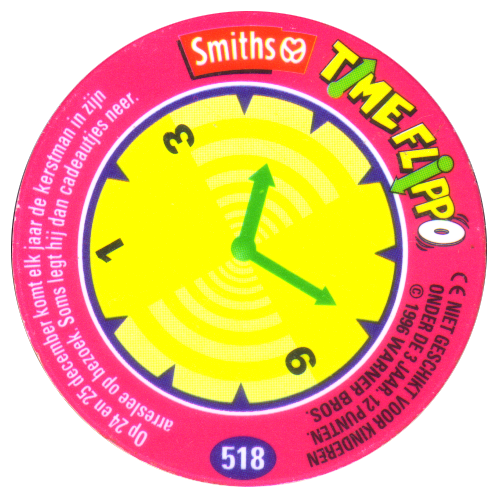 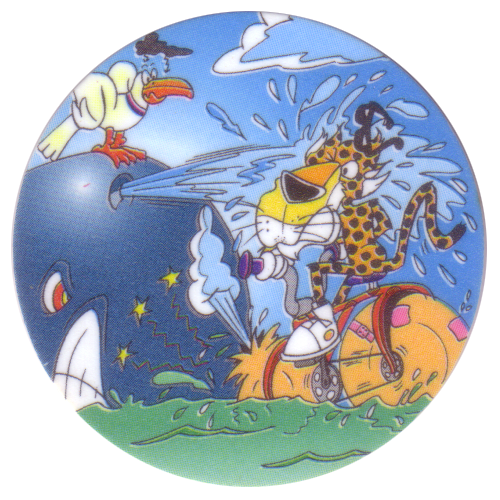 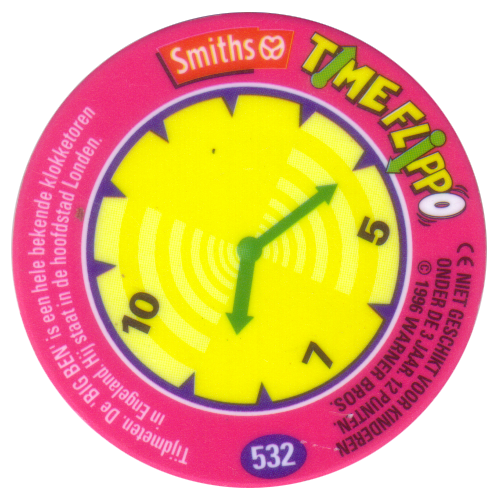 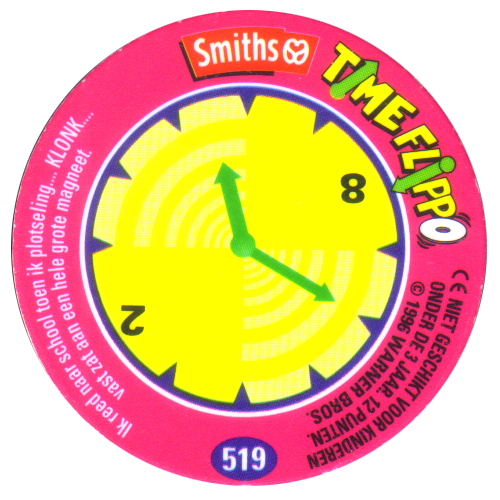 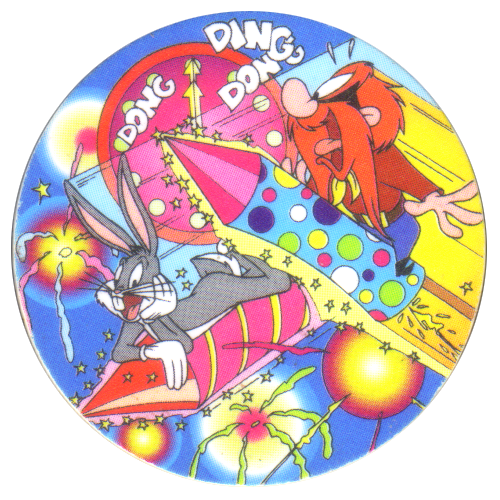 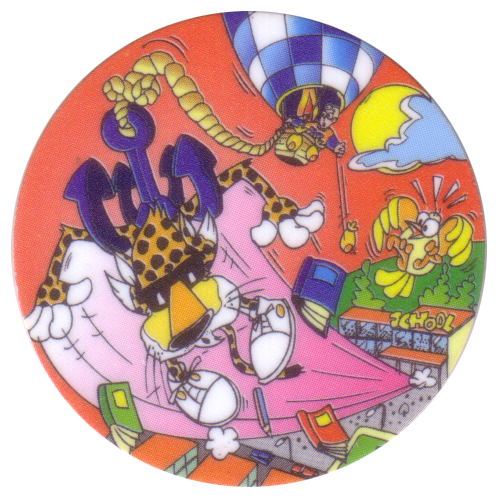 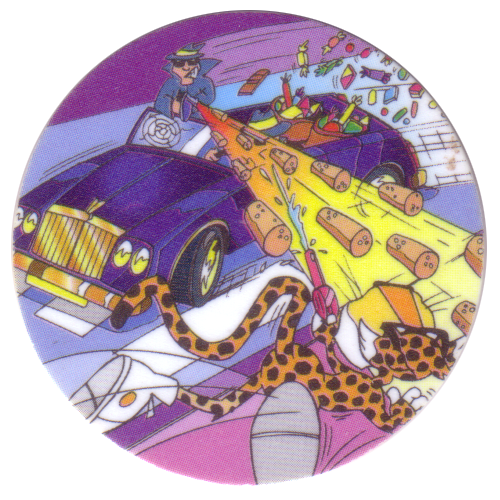 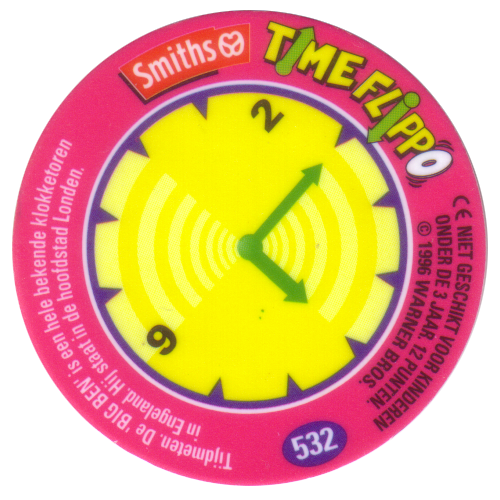 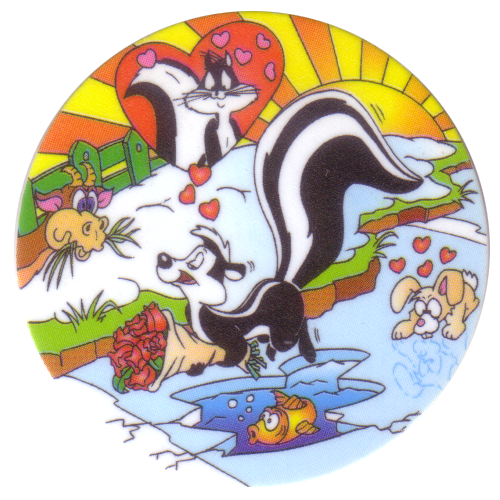 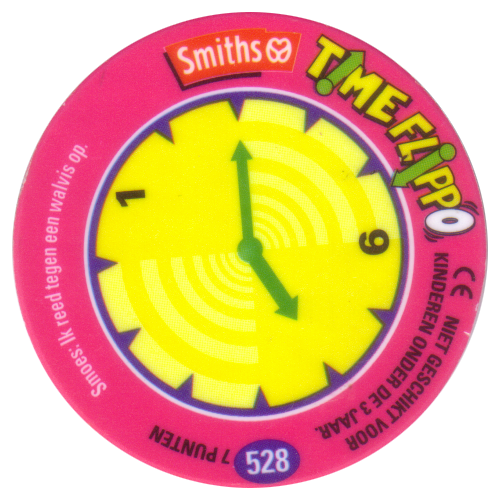 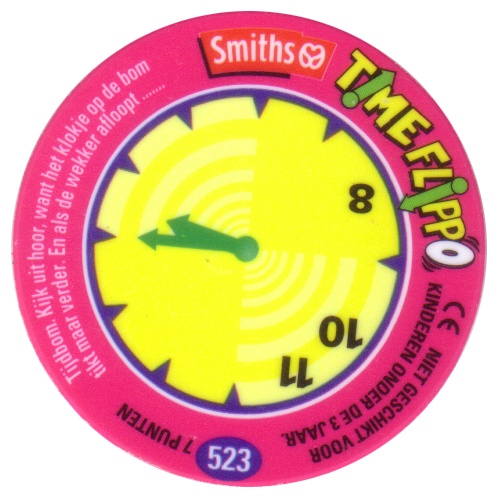 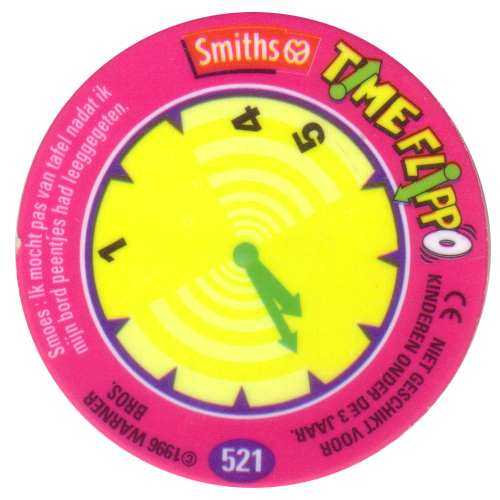 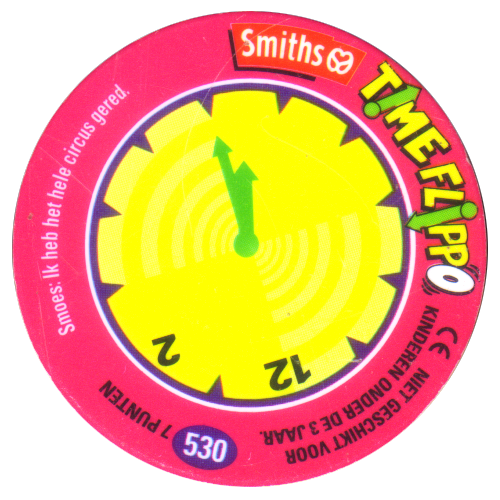 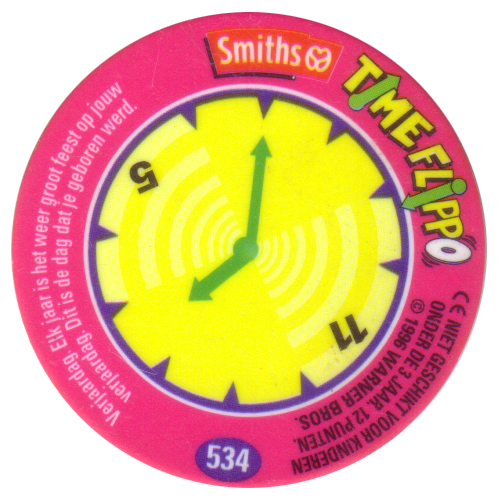 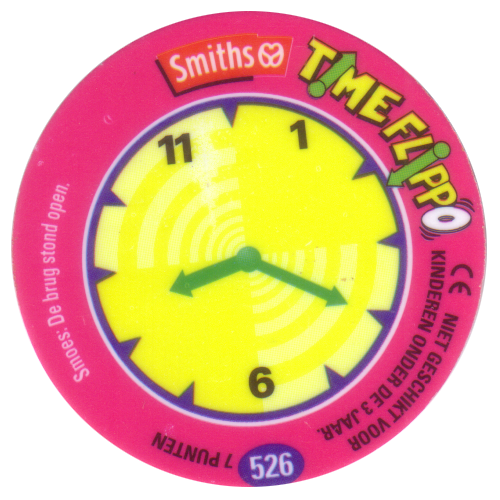 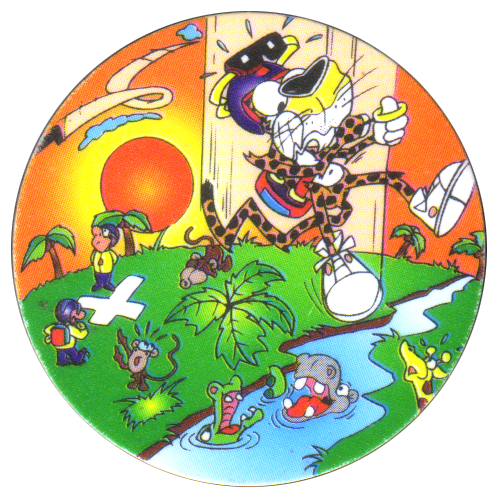 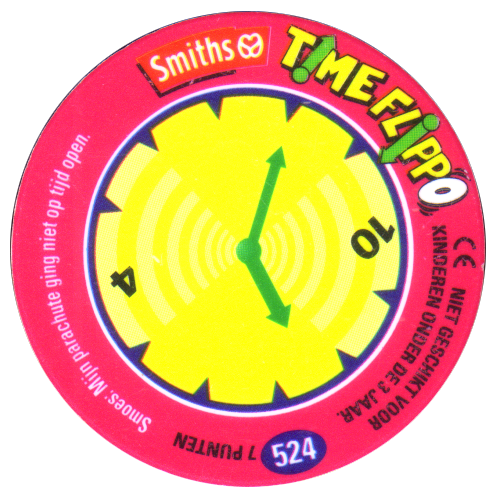 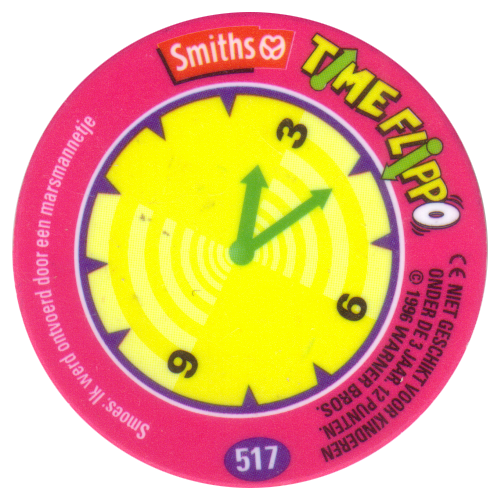 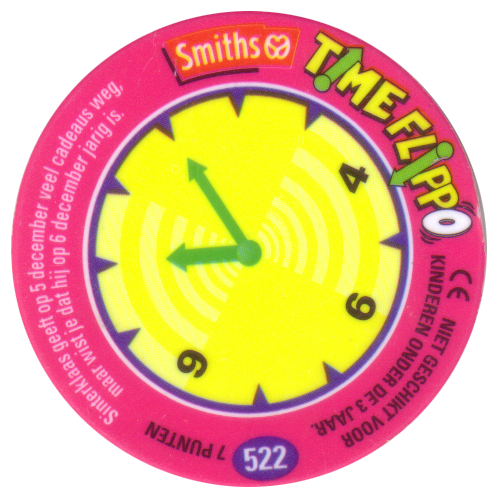 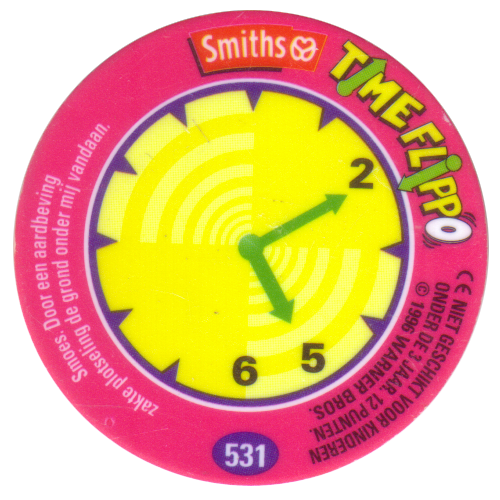 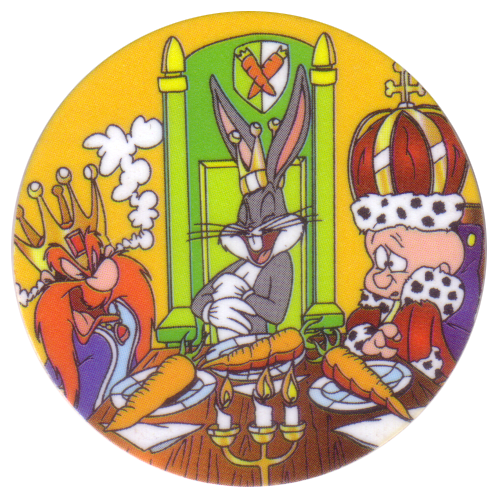 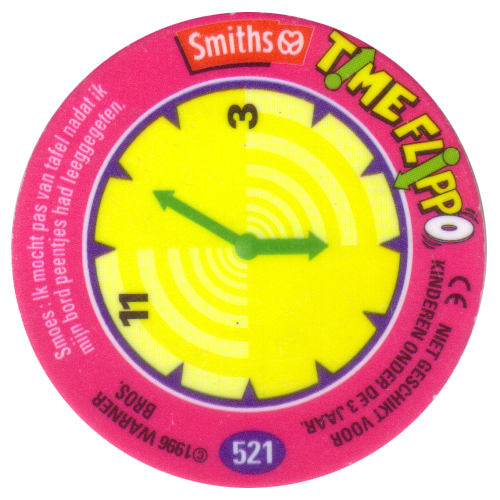 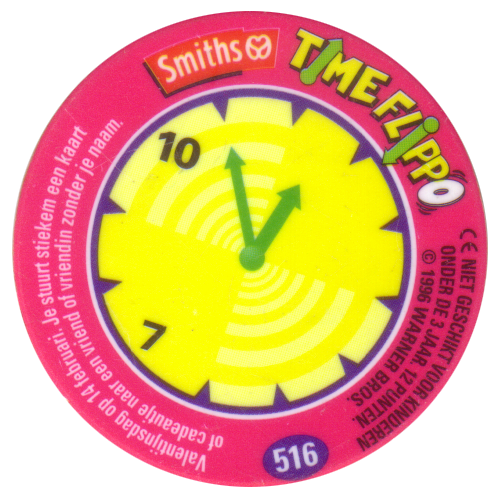 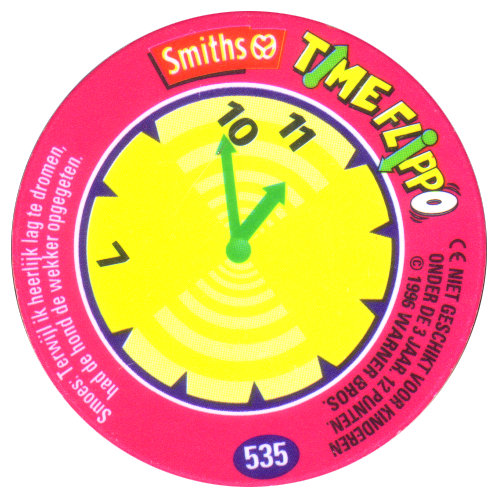 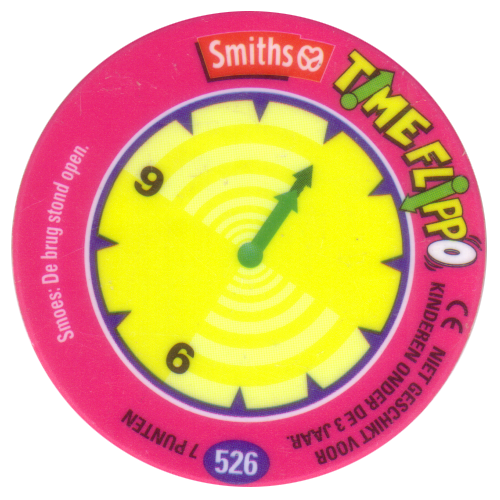 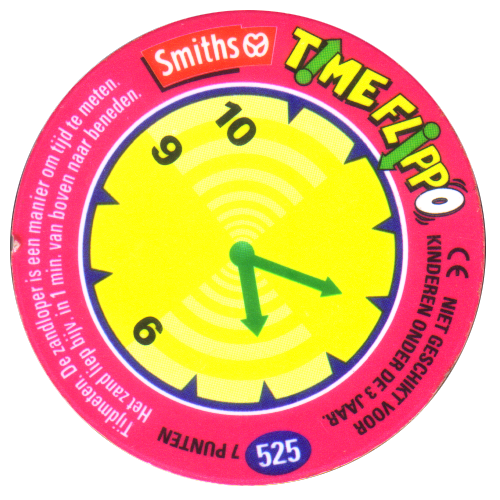 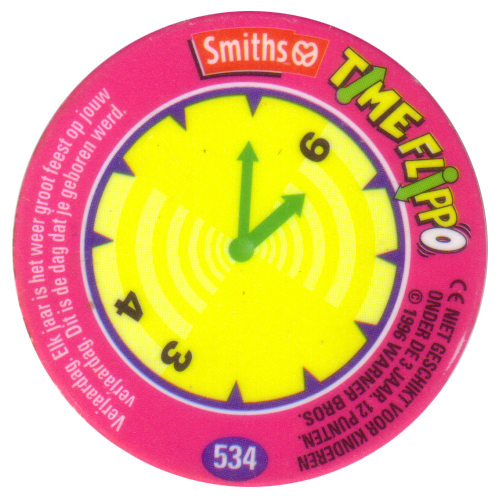 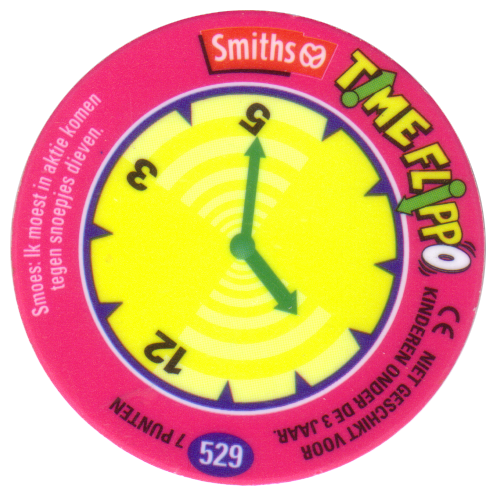 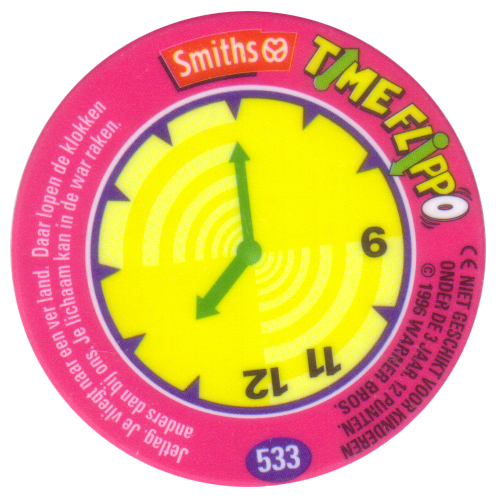 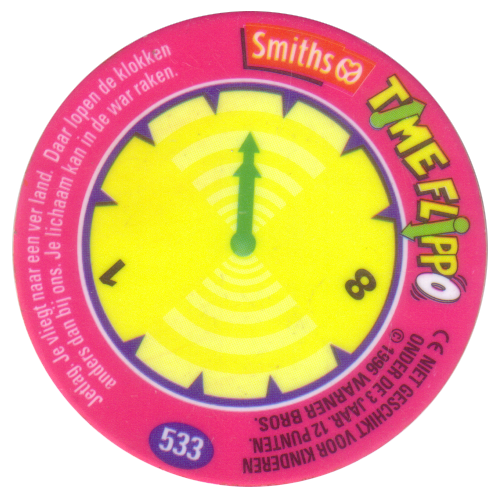 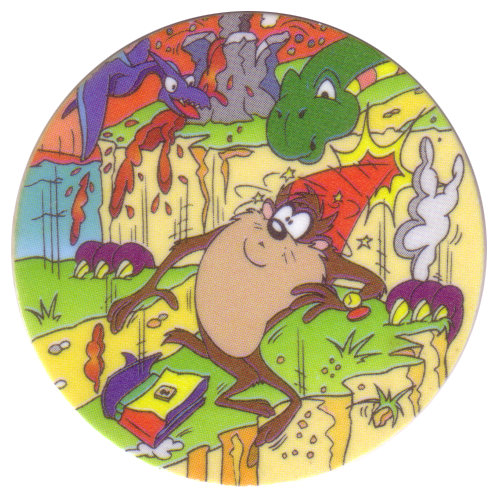 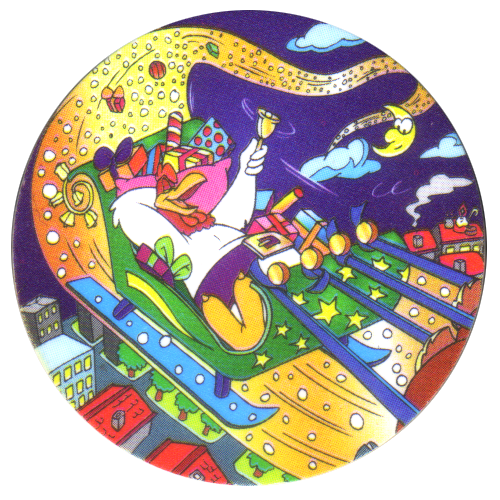 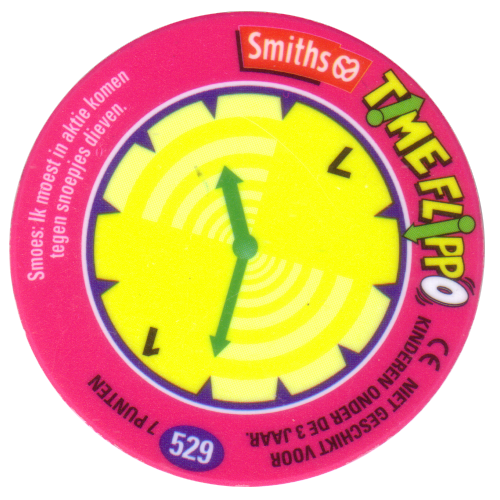 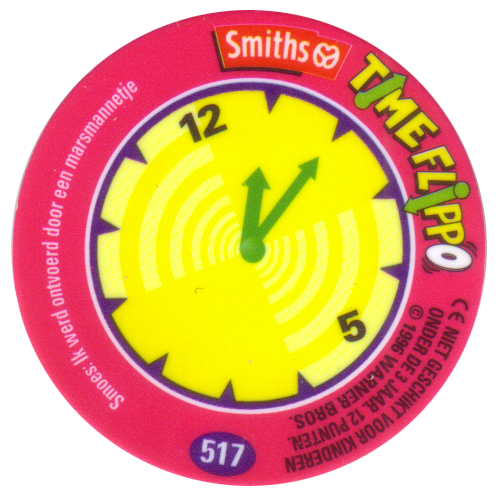 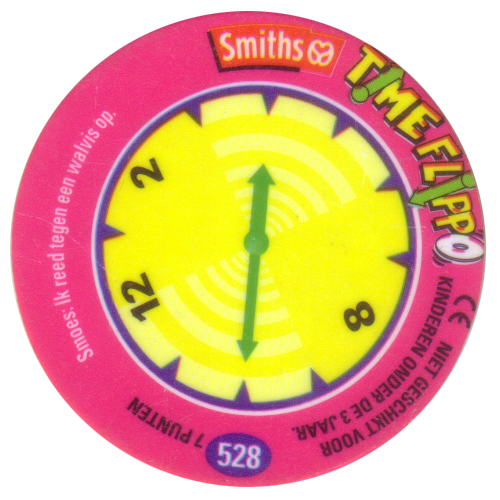 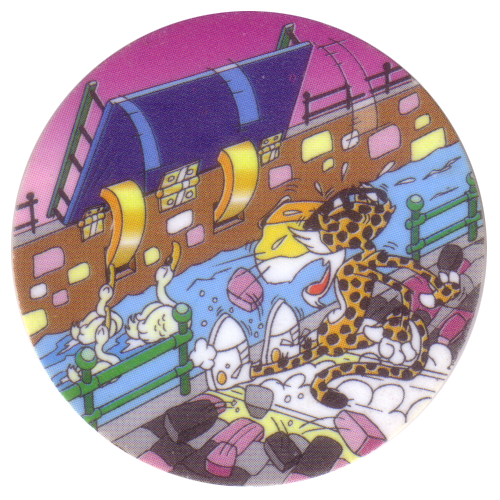 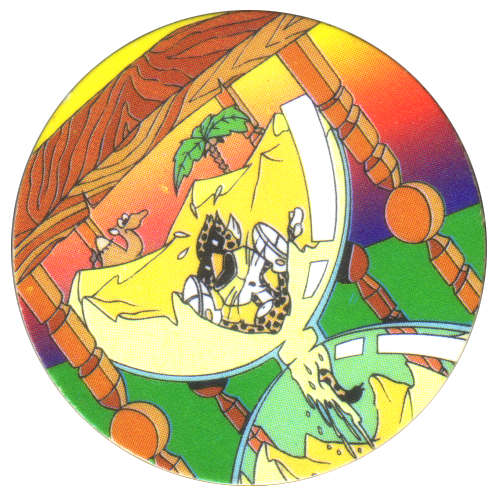 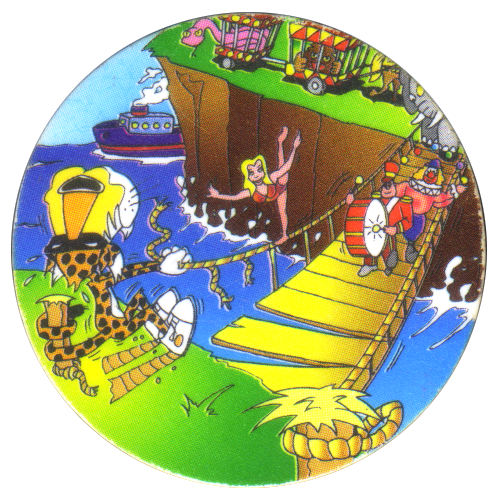 Each Flippo was produced with two different back designs. 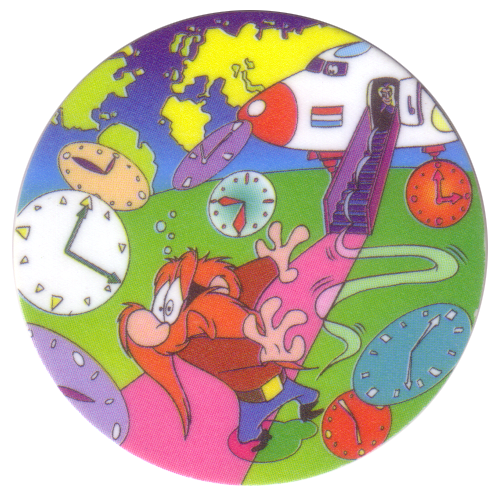 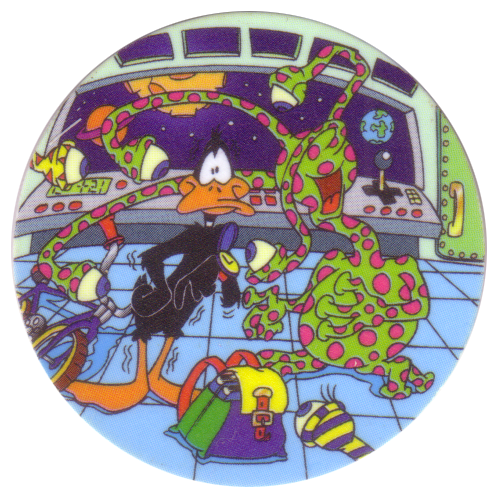 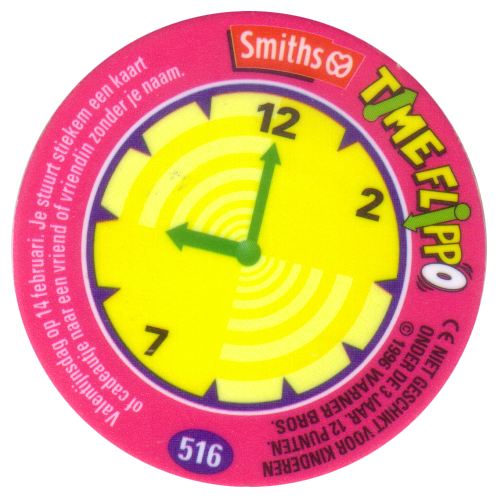 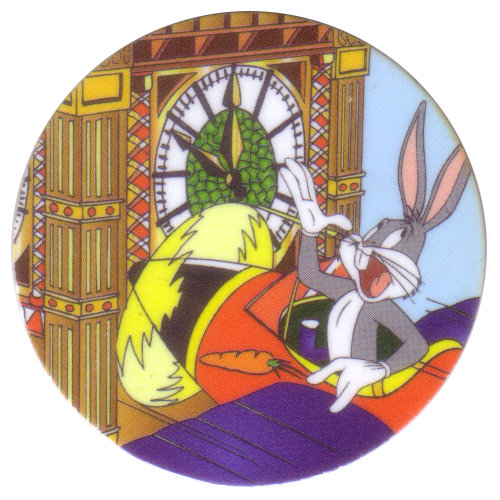 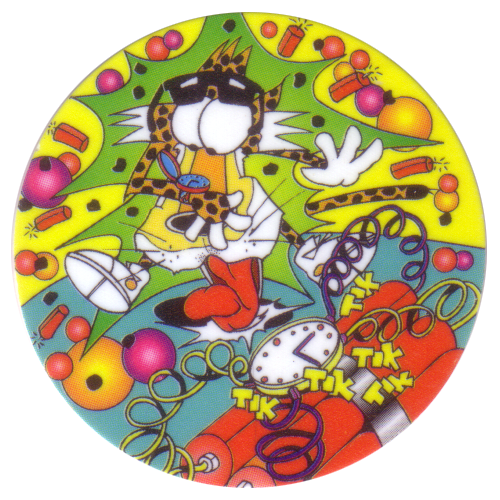 Both backs show a clock face, but with the hands in different positions. 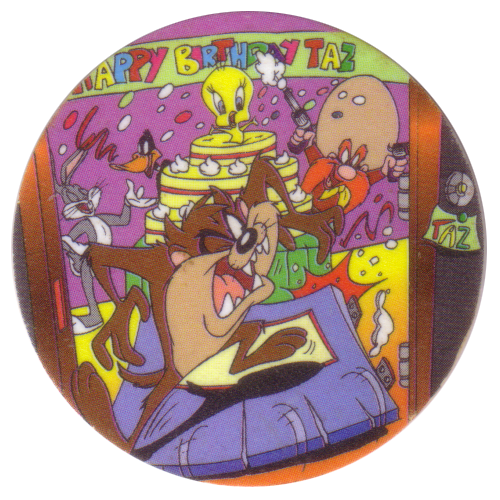 There is also a point score on the back and a small line of text relating to the image on the front.